PMA is a photographic focused event and in this one we represented a number of products however being the launch of the new Wacom Intuos4 Design tablet we were inundated with people lining up to buy these. You may note in the background there is a mound of Wacom products, we took ALL of the stock from Wacom in Australia and completely sold them out of product to the degree that more stock had to be airfreighted in to meet the orders taken at the show. A remarkable event for us and memorable for how many people we met at this show. 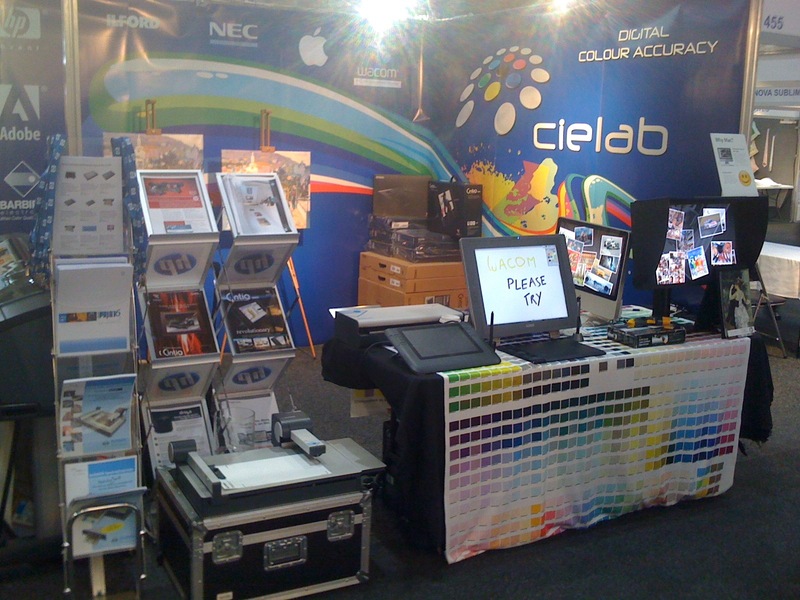 On display also was Barbieri Electronic SpectroSwing and LFP colour management solutions. NEC Spectraview colour critical monitors in conjunction with Apple computers. We represented HP with the Designjet Z3100 in conjunction with Ergosoft solution for reproducing artistic prints quickly and accurately.